An online, peer-reviewed journal for the publication and discussion of artistic research. Miriam Ewers (QA), Gert Germeraad (NL/SE), Marc Goodwin (FI), Carolina Goradesky (BR), Simón Granell (GB), Michael Kahr (AT), Neil Mulholland (GB) and Tero Nauha (FI). Browse the issue here or read the Editorial. Supporting JAR’s publishing activities is the innovative repository for the documentation of artistic research, the Research Catalogue (RC). Through the RC, we welcome submissions to the next issues of JAR. Submit before August 1, 2013 to be considered for JAR4. Please visit our website for further information. Artistic research is a newly emergent and rapidly evolving field, whose status is still hotly debated. JAR provides an influential voice in this debate, creating a platform for the re-negotiation of the relationship between art and academia, and the role and function of research in artistic practice. JAR embraces research practices across disciplines, inviting exchange that enhances artistic research methodologies across the arts, sciences and humanities, emphasizing the transdisciplinary character of much artistic research. Unlike the traditional journal article format, JAR offers its contributors a dynamic online canvas where text can be woven together with image, audio and video. This new approach displays research practice in a manner that respects artists’ modes of presentation and incorporates web-enabled possibilities for collaboration, debate and discussion. Working with an international editorial board and a large panel of peer-reviewers the journal offers a unique reading experience while fulfilling the expectations of scholarly dissemination. Bring your artistic and academic career to the next level. Enrich your practice and create a major body of work. Exhibit and perform internationally while you study. Qualify at the highest level for the job you really want. This summer in Berlin: Make a collective stop-motion animation in one day, watch Afroeuropean films for another, sit in on 24 talks in the Trans-what? symposium, take a tour to the outer edges of Berlin from the film “Umland”, explore the politics of place through the ecological metaphors of “The Native and the Invasive”, walk the walk in the workshop “Within Walking Distance”, dare to engage in a voice lab and perform your voice across the thresholds of personal limits, stay up too late, hear Ensemble Xenon’s composers straddle the fence between free and noted music, get lost, cafe hop in “Writing Art/Artist’s Writing”, consider displacement in a mobile discussion group, experiment, critique critiques, see all the nominated films from the Nostalgia filmfest, don’t think about your job once for three weeks, participate in speed crits and slow crits, get new takes on old work, show new work for the first time, learn the basics of psychoacoustics, hear what fifty other artists are up to pecha kucha style, go to openings, galleries, go home with a list of books you can’t put down. Take it all back to your studio along with your plans and create a body of work like nothing you’ve done before. Be assured of the support, encouragement, feedback and resources you need in order to take all necessary risks and get the attention your work deserves. Do only the research you decide will feed your curiosity and enrich your artwork. Work with two international artists, curators and theorist advisors each year. Build a sustainable practice by creating your own course of study, find a balance between your artwork and other professional obligations while you are in the program. 2 winter sessions in New York, 3 summer intensives in Berlin, 4 semesters off-site. Low-residency, winter presentations in the US, summer intensives in EU. Creative work or practice-based research only. Your studio work is the research. No separate written thesis required. Integrate your writing and your practice or create new forms. Your advisors are international artists, curators and theorist. Topics of interest: Memory, Forgetting, Trauma and the Archive; Creative Fiction and Experimental Non-fiction; Language/Image; Art and Social Technologies; Land and Sea; International Diaspora and Post-Colonialism; Role of Art in Peace, Meditation, Performance Activism; Liminality, Space/Place, Temporary Architecture; Foreignness, Otherness and the Uncanny. Opportunity to publish in the Transart Journal, exhibit with the Transartist collective, present papers at the Transartfest Symposium, get teaching experience with our MFA students. 3 years min. Year 2: Doctoral proposal end of year one (fast-track to PhD) or end of year two (MFA + PhD) Transfer from one program to the other either summer with an accepted proposal. Either way, become a Transartist and continue as a graduate to flourish in the Transart community of artists and curators taking advantage of fellowships, technical and funding support, micro-financing networks, start-up funding initiatives, studio exchanges, curator and peer critique groups, and special calls. And yes, Transartists are invited back in many capacities. Ongoing connections, critique and support are essential ingredients for a vital artistic practice and successful academic career, equally important to the work if it is to flourish. 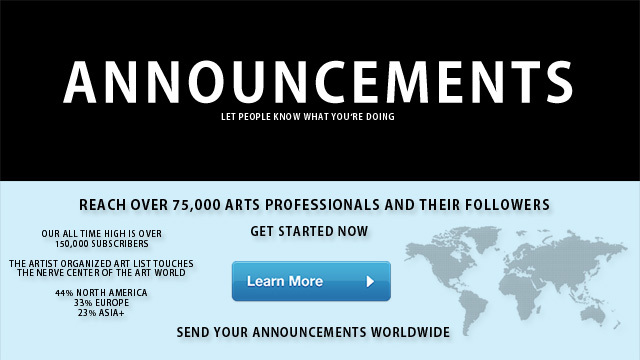 Join an international group of emerging and mid-career artists and curators. Transartists stay connected and active, continuing to show, curate and perform together internationally. 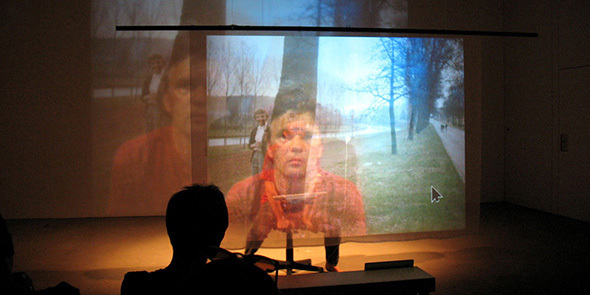 Transart Institute offers an international low-residency MFA and a practice-based (studio) PhD program for working artists in a highly unique format. The Institute’s programs are geared towards the development of a sustainable artistic praxis rather than training in certain media or genres, challenging students to think conceptually and work creatively in new ways. Students work in any genre including animation, cyberart, choreography, curating, digital media, film, gaming, graphic design, installation, painting, performance, photography, robotics, sculpture, sound, text art, video, virtual reality. Keep working, pay as you go. Scholarships for MFA available, assistantships for the PhD. Two, three and four year payment plans with minimal interest rates (0.25-6.25%) for the MFA. 2013 accepted applicants who complete the MFA receive a 3 year 25% scholarship on the PhD program.